John Lynn, a professor emeritus of history at Illinois, has been the recipient of two prestigious awards this year, one the highest career award in his field and the other a Public Scholar award from the National Endowment for the Humanities, a first for the U. of I.
CHAMPAIGN, Ill. — John Lynn, a professor emeritus of history at the University of Illinois, has received a Public Scholar award from the National Endowment for the Humanities. The award follows news earlier this spring that Lynn had received the 2017 Samuel Eliot Morison Prize, the highest career award in the field of military history. Lynn’s Public Scholar award, announced in an NEH news release Aug. 2, is one of only 28 such awards totaling $1.3 million given out this year, the third year for the program. In its first two years, the program made an average of 33 awards per year from an average of 402 applications, for a funding ratio of 8 percent. This is the first such award for a U. of I. faculty member. The book not only will provide a narrative on the history and concept of military surrender, Lynn said, but also will address the inadequacy of popular, conventional-war notions of victory, defeat and surrender in a world faced with civil war and global terrorism. Lynn’s earlier award, the Morison Prize, is given to one historian each year by the Society for Military History, which is devoted to stimulating and advancing the study of military history. Lynn formally received the award at a banquet in March during the society’s annual meeting. The prize “recognizes not any one specific achievement, but a body of contributions in the field of military history, extending over time and reflecting a spectrum of scholarly activity contributing significantly to the field,” according to the society’s website. Past recipients have included such well-known scholars and authors as Stephen E. Ambrose, Rick Atkinson, John Keegan, James McPherson and Geoffrey N. Parker. Lynn earned his doctorate from the University of California, Los Angeles in 1973 and joined the U. of I. faculty in 1978, retiring in 2009. He then taught three years at Northwestern University before returning to teach part-time at Illinois. Lynn’s other book in progress, “Another Kind of War: An Introduction to the History of Terrorism,” is scheduled for publication next spring, and he has developed an online course on the same subject. 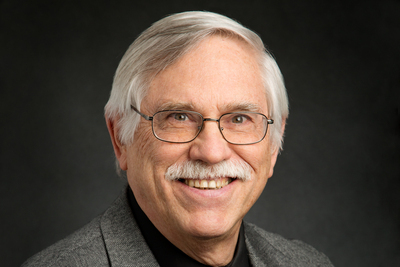 Lynn has been recognized not only for his research, but also for his teaching, with awards for undergraduate teaching from the campus and the College of Liberal Arts and Sciences, an award for graduate teaching from the department of history, and an award for teaching students with disabilities.